+ She has this way of making me laugh so hard. + She uses this hilarious voice when she talks about her bunny, Flop. + She can quote every line [with the character voices] from her favorite movie, UP. 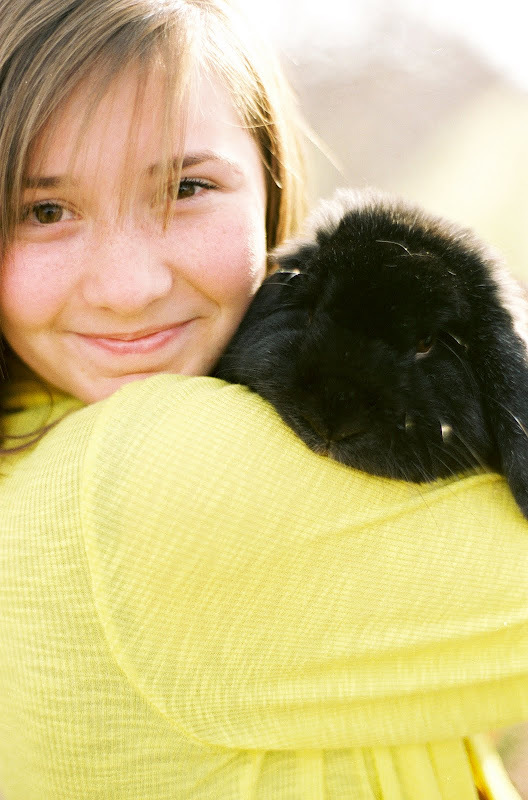 + She has such adorable freckles, don't you agree? + She is so generous. Always thinking of something nice to do for someone else. + She has a very keen fashion sense. + She knows what she likes to wear, and she knows what looks good on her. + She has beautiful brown eyes. + She taught me how to thread my sewing machine. + She loves music as much as I do. This journey of homeschooling has been really rewarding. It was really really tough the first couple of weeks though, and was taking it's toll on our relationship, but now, it is running so smoothly. We've got a routine established. We've figured out how to work together better, we understand each other more, and we are growing closer. And the great news is, that she is excelling and feeling successful about her education for the first time since second grade. What a blessing that is. and it was four B's and an A.
a free rental if you show a report card with a B average. She rented a really scary movie. Fearless, I tell you.